Singapore’s racial integration, harmony and equality efforts compare to no other country in the world. 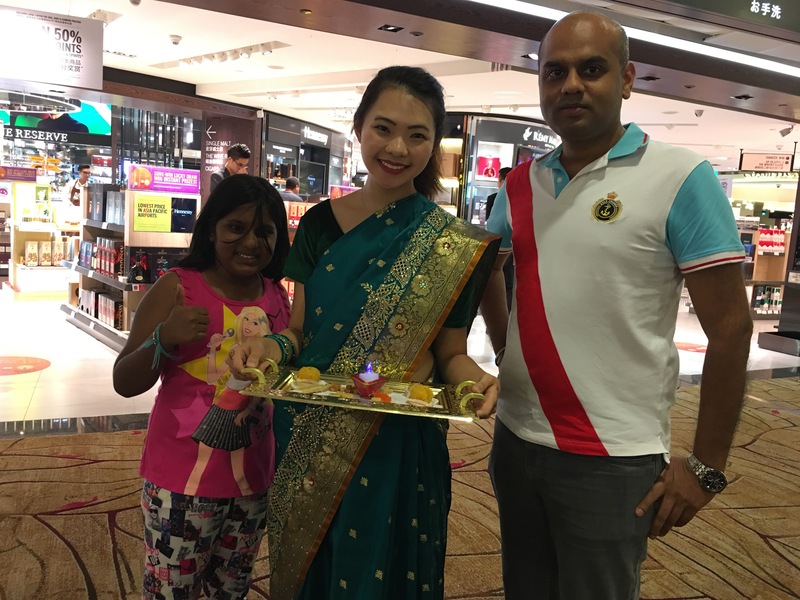 So we entered Changi Airport yesterday, to be greeted by a pretty lady, in Indian saree, offering sweets to all passengers. She had the traditional Deepavali greeting welcome thali (tray) with a lighted lamp, a variety of sweets and red powder to put a teeka / tilak. 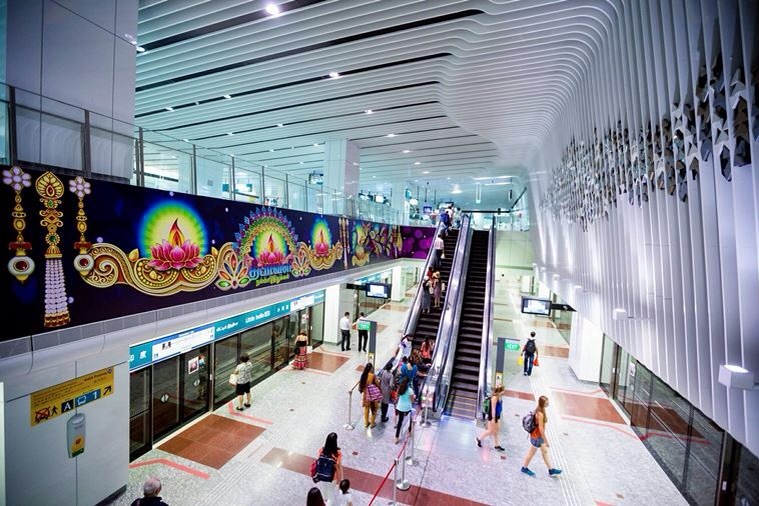 In 2016, Singapore has further stepped up on its Diwali celebrations by also dressing up select MRT trains and stations also. 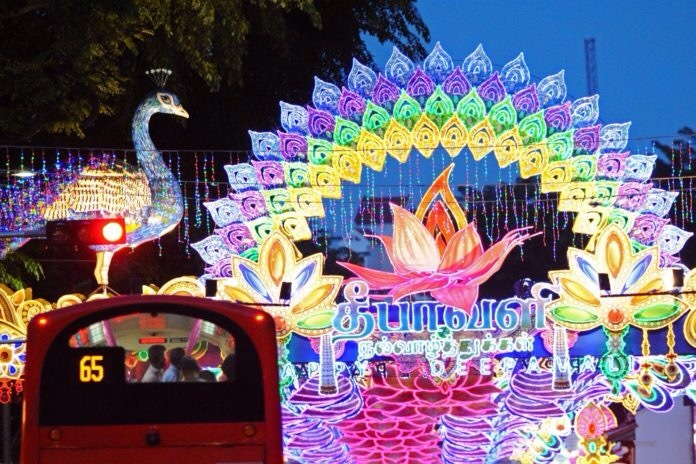 There’s something about Deepavali which really attracts the world despite India making no efforts to upgrade it to a global festival. I mean, outside India, there are never ‘Diwali discounts’ or ‘Deepavali sale’ conducted. Nor restaurant menus customized, as it happens for Christmas, Easter, new year or even Mother’s Day/Father’s day these days. It’s probably an inner ethos of Hinduism – easily the world’s most peaceful, least binding, most liberal and rich in history religion – that attracts everyone towards it. 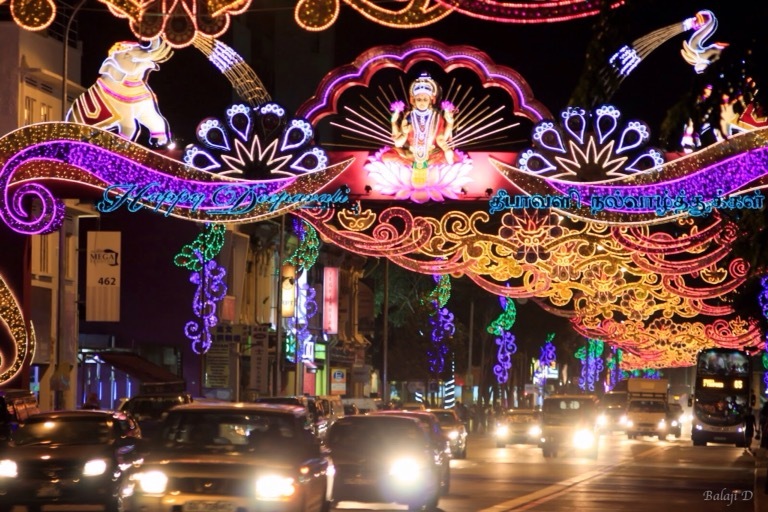 Singapore has been celebrating Deepavali / Diwali for a long time now. 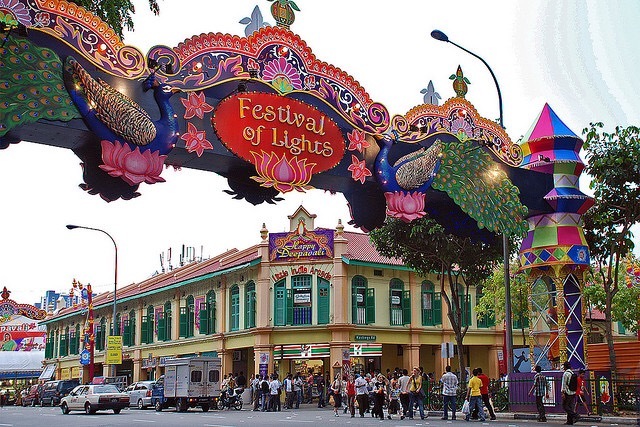 Every year the four kilometres stretch of Serangoon road – running over the Little India, Farrer Park region – is decorated with heavy lighting and artefacts. The dress up is done 40-45 days before the festival arrives. I can assure you no Indian city, colony, station or even road junction celebrates and anticipates Diwali for this long a time. One reason could be because India gets Durga Puja / Navratri festivals before Diwali, so prepares for that. 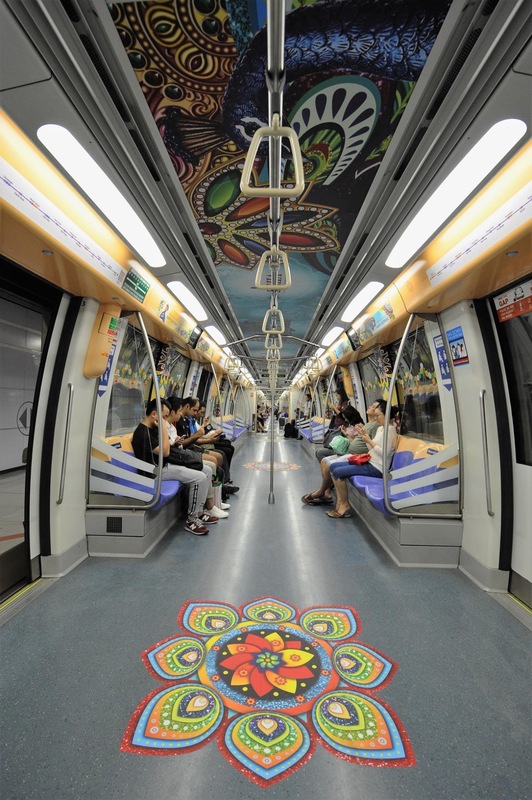 But that shouldn’t take away The Lion City’s committed and dedicated efforts, year on year, so kudos Singapore. Changi airport changes its dressing almost every month to cater to the flavour of the month. Hence the large peacock statue for Deepavali didn’t surprise me much. It’s not without reason that Changi airport is the best in the world, by a margin. People only see the facilities, efficiency and benchmark it. What you don’t see are Changi’s constant efforts and investment in ensuring every human being enters Changi feeling wow-ed, indebted and at home. On checking in, we found our flight was 3 hrs delayed. Our home was just 15mins away. But we decided to hang around and enjoy Changi rather. Absolutely amazing . Wish our own Airport developers and authorities would take note and do something similar to jazz up our own Diwali experience .